With only a month to go until the release of Paradox Interactive’s latest grand strategy game in space, the Stellaris team goes over how they skipped 3,000 years of civilisation. Will Stellaris be an instant hit worthy of making it into the best strategy games on PC hall of fame? 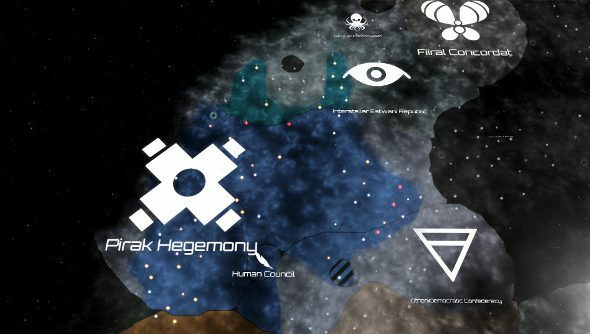 The sci-fi strategy game is many orders of magnitude larger than the battlefields of Crusader Kings or Europa Universalis, Paradox’s previous hit franchises. Stellaris features ‘up to 1,000 stars’ to expand an empire through, all of them with their own unique properties between neutron, black hole, blue giant, and other varieties of star. The planets surrounding each star also vary massively and, due to the procedurally generated systems, no two campaigns ever turn out the same way. Game director for Stellaris Henrik Fåhraeus and programmer Mehrnaz Amanat Bari mention the similarities and differences between the studio’s usual approach to strategy and what being in a galaxy almost beyond comprehension means for the player. Of course, the usual warfare and diplomacy strategies are available, so Paradox hopes the grand strategy faithful will feel at home, while the size of the game and exploration element will bring in adventurous players. Stellaris releases on May 9, and as this is just part one of the dev diary, expect to learn a bit more about the team’s journey into the future before then.